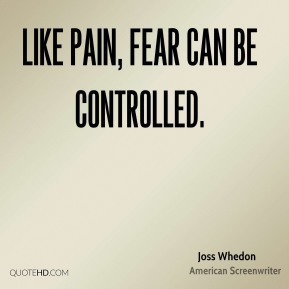 Like Pain, fear can be controlled. Staff were stuck in a comfort zone and there was a palpable fear of selling. 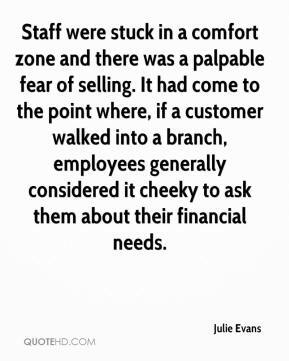 It had come to the point where, if a customer walked into a branch, employees generally considered it cheeky to ask them about their financial needs. 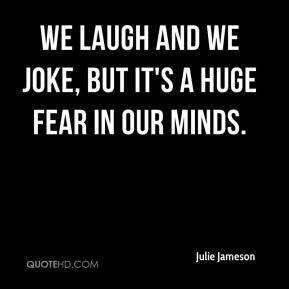 We laugh and we joke, but it's a huge fear in our minds. Schools without Fear; Group Activities for Building Community. The fear of not doing well in reading and mathematics is driving out some of the other needs we have. We have driven fear into a system that's dealing with children. 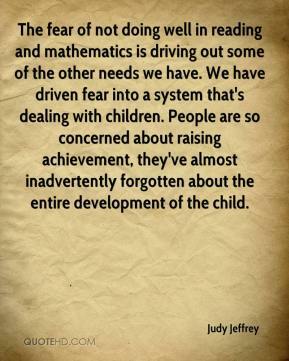 People are so concerned about raising achievement, they've almost inadvertently forgotten about the entire development of the child. 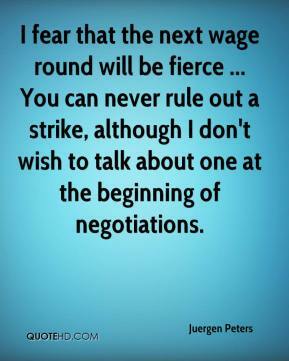 I fear that the next wage round will be fierce ... You can never rule out a strike, although I don't wish to talk about one at the beginning of negotiations. 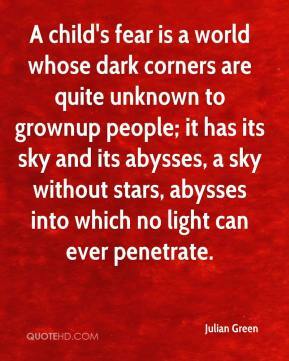 A child's fear is a world whose dark corners are quite unknown to grownup people; it has its sky and its abysses, a sky without stars, abysses into which no light can ever penetrate. 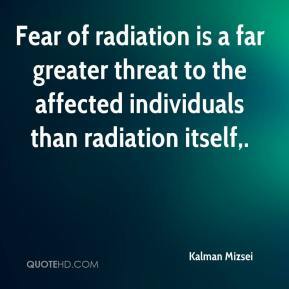 Fear of radiation is a far greater threat to the affected individuals than radiation itself. 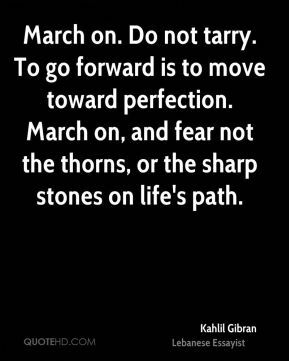 Fear nothing, for every renewed effort raises all former failures into lessons, all sins into experience. 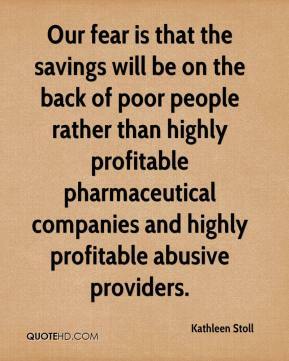 Our fear is that the savings will be on the back of poor people rather than highly profitable pharmaceutical companies and highly profitable abusive providers. 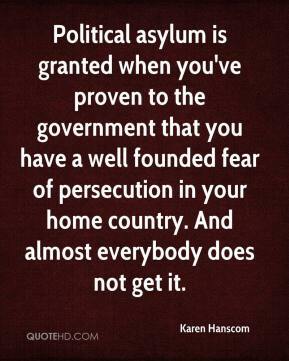 Political asylum is granted when you've proven to the government that you have a well founded fear of persecution in your home country. And almost everybody does not get it. 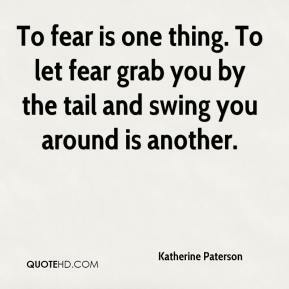 They don't fear it at all, they see it as a liberation. 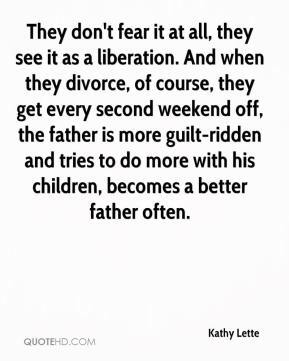 And when they divorce, of course, they get every second weekend off, the father is more guilt-ridden and tries to do more with his children, becomes a better father often. This is definitely going to shock some people. 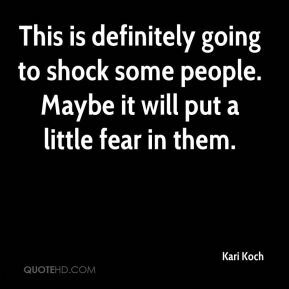 Maybe it will put a little fear in them. 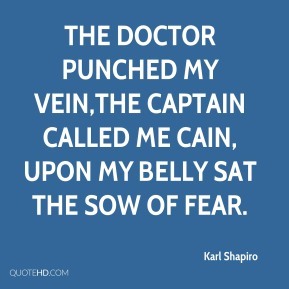 The doctor punched my vein,The captain called me Cain, Upon my belly sat the sow of fear. 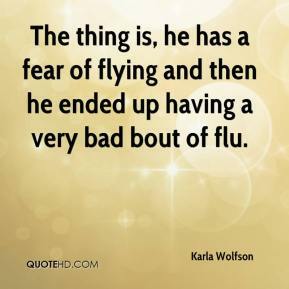 The thing is, he has a fear of flying and then he ended up having a very bad bout of flu. We do see young women in here that are in denial that they are pregnant. 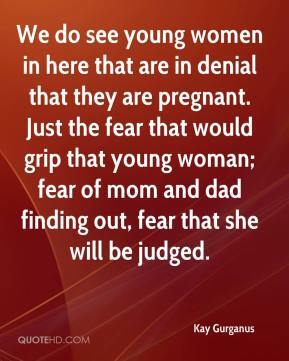 Just the fear that would grip that young woman; fear of mom and dad finding out, fear that she will be judged. In dreams we can recreate love, fear, guilt, happiness. In our minds we can create this superficial reality with exact copies of human emotion and feeling. The only thing we cannot create is pain. Couldn't it be said, then, that pain is the ony real feeling, the only real substance in the world? 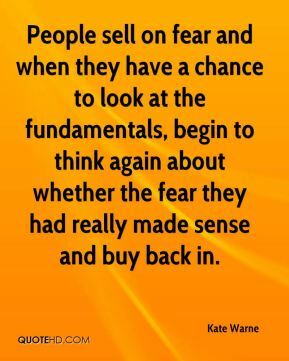 People sell on fear and when they have a chance to look at the fundamentals, begin to think again about whether the fear they had really made sense and buy back in. 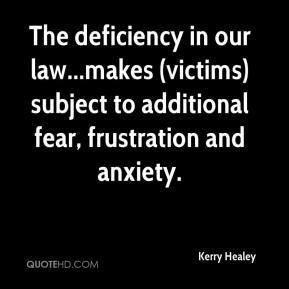 The deficiency in our law...makes (victims) subject to additional fear, frustration and anxiety. There's an addictive quality to fame and when your celebrity starts to wane, people get a real fear about that, ... And that's why I think sometimes you see people who will put themselves on whatever real weird reality shows or they'll find themselves just back in the paper by doing something horrible. I almost get the feeling that it's better than not being in the paper. We are housing the very element we are fighting against. 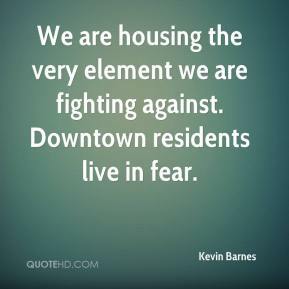 Downtown residents live in fear. 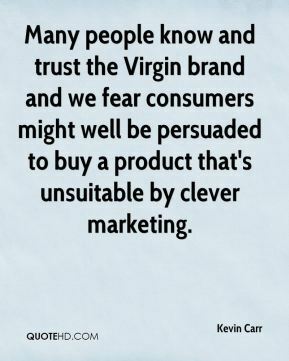 Many people know and trust the Virgin brand and we fear consumers might well be persuaded to buy a product that's unsuitable by clever marketing. 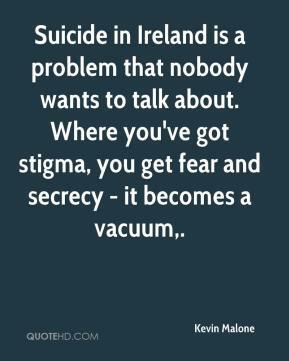 Suicide in Ireland is a problem that nobody wants to talk about. Where you've got stigma, you get fear and secrecy - it becomes a vacuum.